Did you know that there are actually replicas of nanoblocks? If you didn't, well, I'm here to tell you there are! Nanoblocks vs Loz blocks. In a very general sense, Nanoblocks are mostly japanese, while Loz blocks are the Chinese version. 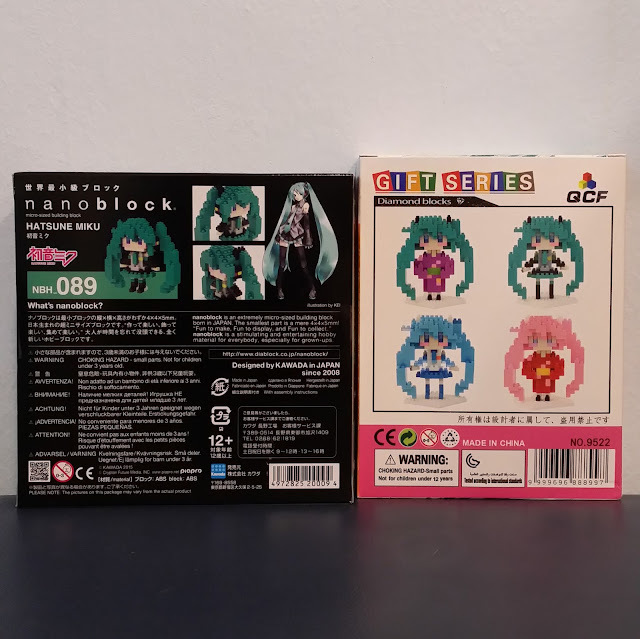 Unlike most Chinese clone toys though, Loz's quality is pretty up there, and there are many themes and designs that are unavailable for the Nanoblock series. In an attempt to show you the (subtle) differences between Nanoblocks and Loz, I bought a Miku set from them both. I would say the major difference is the building block itself, but other than that, the differences are really not that far apart. Loz is incredibly cheap when compared to Nanoblock. I bought Loz for five dollars, and Nano for thirty. That's six times the price! Right, so first up, packaging. 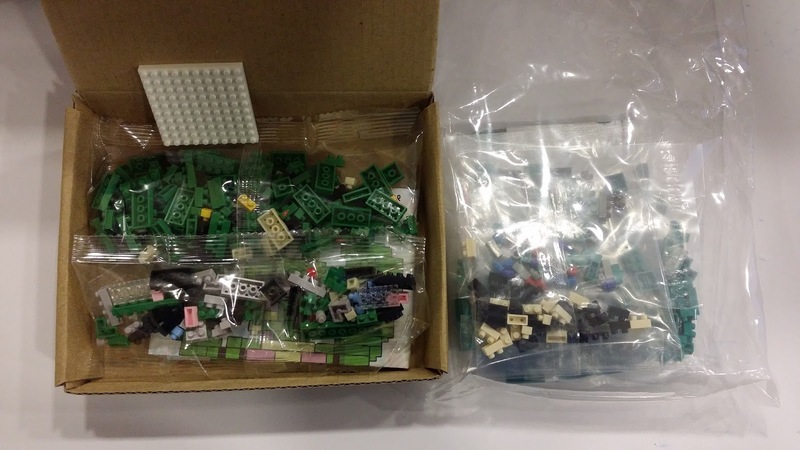 I actually preferred Loz's packaging as it came with an inner box that I could use to keep all the pieces together instead of finding a container to keep them as is the case with Nanoblocks. Although I have to add that the box only came with the bigger sets, I did also purchase other Loz designs that were small and thus did not come with the inner box. The other big difference is the instruction sheet. The Loz one doesn't show you how many blocks of each you need per step, and grays out the previously done layers, so it does get pretty confusing at times. 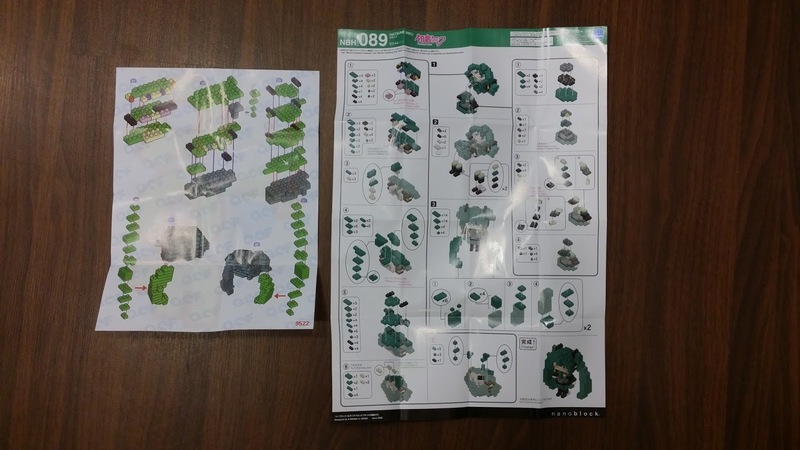 The Nanoblock instruction sheet is very clear cut, and also states how many pieces you need per step, which ensures you don't get mixed up. I built my Loz Miku first, and while I was relatively impressed by how well the blocks seamed together without that many visible cracks, I was pretty upset about the fact that my Miku came with a couple of pieces short. I did get several other extra pieces, but I was specifically just missing two skin blocks for her shoulders. 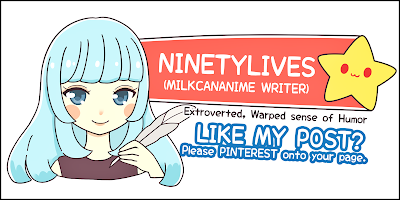 Color-wise, it's more of a green than Miku's turquoise, and there are several weird irregularities like her weird fat tie and uniform, but I guess when you're doing a dupe you can't go 100% exact due to copyrights. All in all, I give this a 9/10. That high a rating simply because the quality is good, and the blocks are seamless. 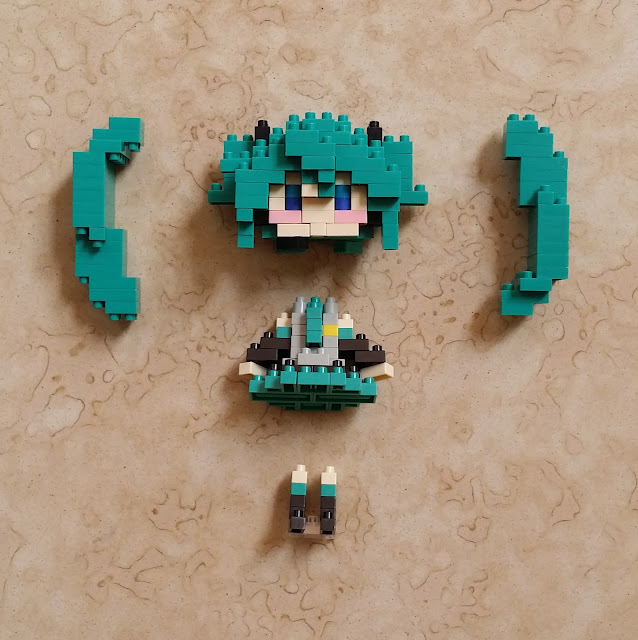 It is also quite stable as I did a drop-test and other than half a twintail, nothing else came apart. Another thing to note is that once you've joined two blocks firmly together, it's quite impossible to separate them without the splitting tool. With Nano you can still pry them apart from the sides. I suppose that's why Loz gives a more seamless form. 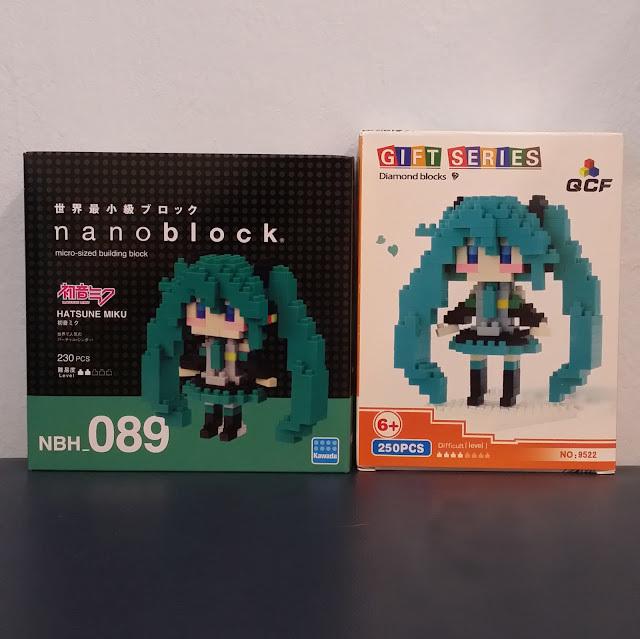 After Loz, I built up my Nano Miku. 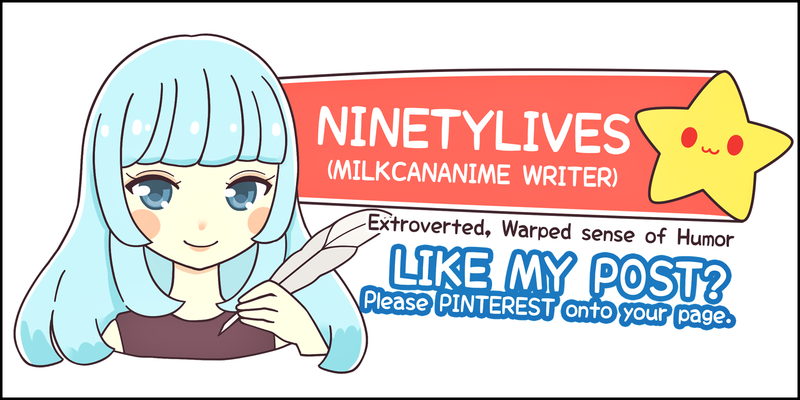 Right off the bat I was attracted to the color; it's really accurate to Miku's turquoise. But really, other than the color and the form, I feel Loz wins in the other areas. Nano's blocks have tiny gaps in between which is quite obvious. Nano is also very fragile. While only half a twintail broke off from Loz, Nano's head and both twintails came off. All in all, if you're building blocks for the fun of it, then I'd suggest getting the Loz ones as they are seriously way cheaper than the authentic Nanoblocks. But obviously if you want the real deal then don't bother with Loz. So that's that fellas! 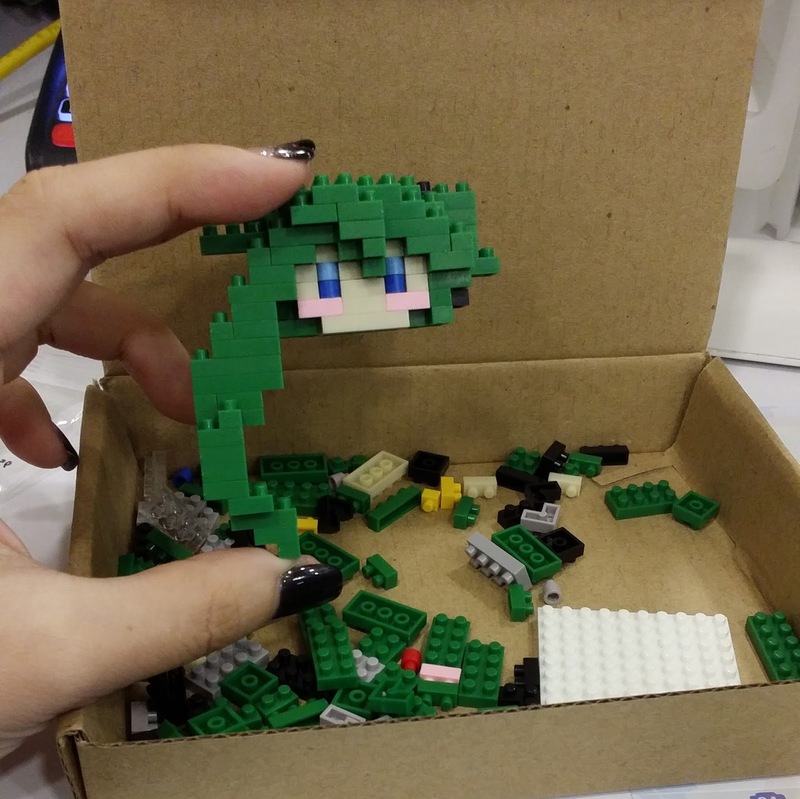 Stay tuned for other Nanoblock/Loz posts because I bought a ton of them that I can't wait to show to you guys!! 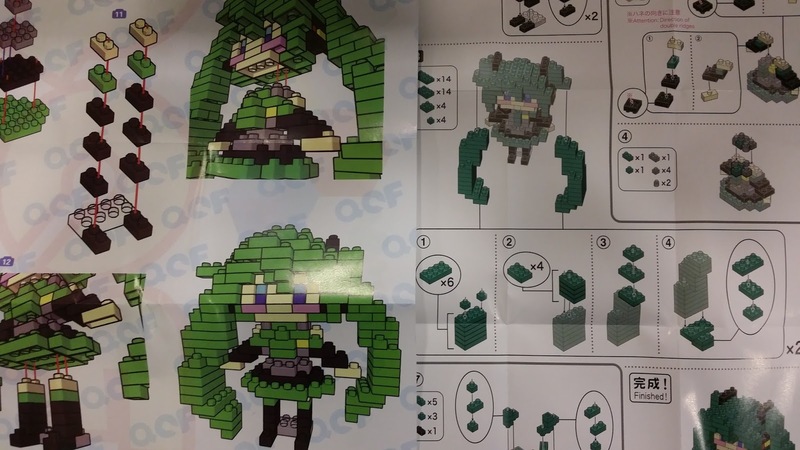 5 comments to ''Nanoblock: Real vs Replicas"
Actually i feel you have the instructions backwards. I've got a bunch of LOZ sets and nanoblock sets. All my LOZ sets come with very clear instructions and each one tells me how many pieces for each step. The nanoblock ones first off there was no uniformity to how the instructions are written up. Some of them were clear but only 1 gave me piece counts for each step and they are so small fit all on one piece of paper that had a hard time reading them all. 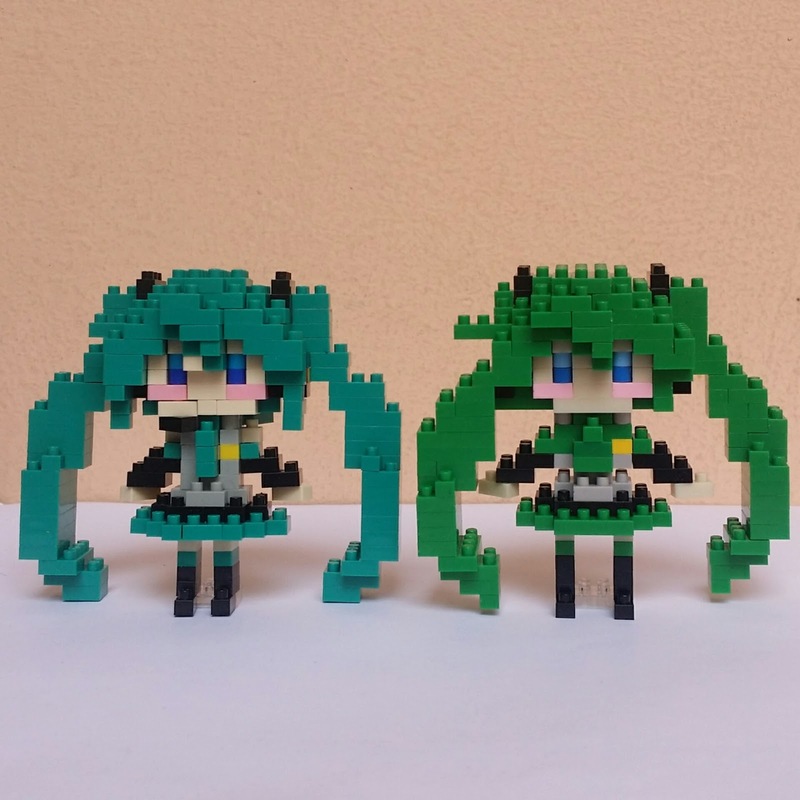 Just stumbled over your site while looking for a comparison between LOZ and nano because one of my kids got interest in nanoblocks after seeing mine. If there are pieces missing like in your example that would be a total no-go for me, can you tell me if this is common with LOZ? Never happened to me with kawada. You may experience a few pieces short if you get Loz. However, given the relatively cheaper price, you can accumulate extra pieces if you purchase a few Loz's.